This is most certainly the best reference to use. Bookmark it! Brain development begins in utero. Billions of neurons are generated. They migrate from their birth place in the embryo to their final positions. Axons and dendrites grow and connections (synapses) between neurons are formed. These mechanisms are believed to be hardwired, that is determined by genetics. Once connections are formed, activity dependent mechanisms come into play. Whether a connection is strengthened or eliminated will be determined by the activity of this connection, that is, it will depend on the experiences of the baby/child. Thank you for giving this reference which is very useful to me. 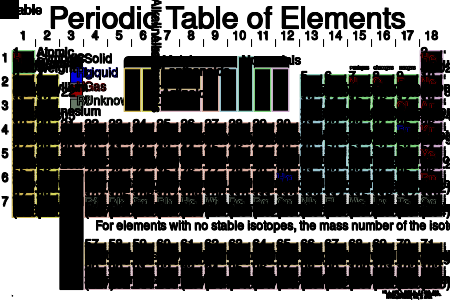 When I read this periodic table I am glad to see this because I am searching that type of periodic table. : RX Marine was established in 1996 in Mumbai, India; as a chemical manufacturing company catering exclusively to the needs of the marine industry.In a short span of 12 years the company has established itself as one of leading wholesale suppliers of a wide range of chemicals for -Marine industry internationally- and other local industries and plants .our client list bears testimony to this. The RXSOL policy has its foundation on two pillars of strength – continuous investments in research and development to deliver premium quality products and a commitment to services.